AM CVn are a rare class of objects where one white dwarf is pulling material from a compact companion star, such as a second white dwarf. Chandra and optical telescopes were used to identify two systems of binary stars that will one day become AM CVn systems. As the orbit between these white dwarfs shrink, scientists predict ripples in space-time will be given off. In the middle of the twentieth century, an unusual star was spotted in the constellation of Canes Venatici (Latin for "hunting dogs"). Years later, astronomers determined that this object, dubbed AM Canum Venaticorum (or, AM CVn, for short), was, in fact, two stars. These stars revolve around each other every 18 minutes, and are predicted to generate gravitational waves - ripples in space-time predicted by Einstein. The name AM CVn came to represent a new class of objects where one white dwarf star is pulling matter from a very compact companion star, such as a second white dwarf. (White dwarf stars are dense remains of Sun-like stars that have run out of fuel and collapsed to the size of the Earth.) The pairs of stars in AM CVn systems orbit each other extremely rapidly, whipping around one another in an hour, and in one case as quickly as five minutes. By contrast, the fastest orbiting planet in our Solar System, Mercury, orbits the Sun once every 88 days. The two binary systems - known by their shortened names of J0751 and J1741 - were observed in X-rays by NASA's Chandra X-ray Observatory and ESA's XMM-Newton telescope. Observations at optical wavelengths were made using the McDonald Observatory's 2.1-meter telescope in Texas, and the Mt. John Observatory 1.0-meter telescope in New Zealand. The artist's illustration depicts what these systems are like now and what may happen to them in the future. The top panel shows the current state of the binary that contains one white dwarf (on the right) with about one-fifth the mass of the Sun and another much heavier and more compact white dwarf about five or more times as massive (unlike Sun-like stars, heavier white dwarfs are smaller). As the two white dwarfs orbit around each other, gravitational waves will be given off causing the orbit to become tighter. Eventually the smaller, heavier white dwarf will start pulling matter from the larger, lighter one, as shown in the middle panel, forming an AM CVn system. This process continues until so much matter accumulates on the more massive white dwarf that a thermonuclear explosion may occur in about 100 million years. One possibility is that the thermonuclear explosion could destroy the larger white dwarf completely in what astronomers call a Type Ia supernova (the type of supernova used to mark large distances across the Universe by serving as so-called standard candles.) However, it's more likely that a thermonuclear explosion will occur only on the surface of the star, leaving it scarred but intact. 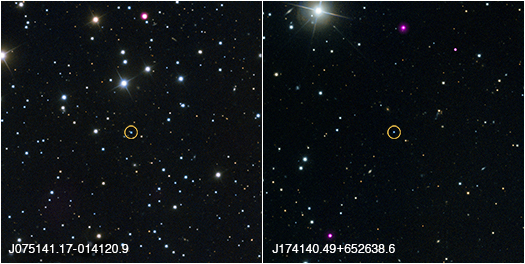 The resulting outburst is likely to be about one tenth the brightness of a Type Ia supernova. Such outbursts have been named - somewhat tongue-in-cheek - as .Ia supernovae. Such .Ia outbursts have been observed in other galaxies, but J0751 and J1741 are the first binary stars known which can produce .Ia outbursts in the future. The optical observations were critical in identifying the two white dwarfs in these systems and ascertaining their masses. The X-ray observations were needed to rule out the possibility that J0751 and J1741 contained neutron stars. A neutron star - which would disqualify it from being a possible parent to an AM CVn system - would give off strong X-ray emission due to its magnetic field and rapid rotation. Neither Chandra nor XMM-Newton detected any X-rays from these systems. The paper reporting these results is available online and is published in the Monthly Notices of the Royal Astronomical Society Letters. The authors are Mukremin Kilic, from the University of Oklahoma in Norman, OK; J.J. Hermes from the University of Texas at Austin in TX; Alexandros Gianninas from the University of Oklahoma; Warren Brown from Smithsonian Astrophysical Observatory in Cambridge, MA; Craig Heinke from University of Alberta, in Edmonton, Canada; Marcel Agüeros from Columbia University in New York, NY; Paul Chote and Denis Sullivan from Victoria University of Wellington, New Zealand; and Keaton Bell and Samuel Harrold from University of Texas at Austin.  Scale Image is 7 arcmin across (about 11 light years). Coordinates (J2000) RA 07h 51m 41.20s | Dec -01° 41' 20.90"
Scale Image is 11 arcmin across (about 10 light years). Coordinates (J2000) RA 17h 41m 40.50s | Dec +65° 26' 38.70"
All of this is real fastinating. I still have a hard time getting my head around it all. Every one must read and implement any word of it.